I have been a loyal HP customer since the moment I owned my first laptop. There were many things that I loved about HP, including the great design and the potency of its laptops. Many years has passed since my first HP laptop, and it seemed to me that HP was gradually growing expensive, but its laptops weren’t getting any better. Half way through graduate school, I started consulting part-time. And on top of all the stress and responsibilities, my visiting siblings cracked my HP laptop’s screen. The repair process was a nightmare, so I decided to explore other alternatives by embarking into a new laptop search. 1- Lightweight and easy to carry. 2- Physically “good looking” or physically representative of my work environment (I don’t think a junk looking laptop instills a positive image to clients). 4- At least 4GB of memory. 5- At least 500GB of hard drive. 8- Windows 8 operative system (I can’t stand Windows 10 for my life). 9- Price tag below $800. As you’re able to see, my requirements are pretty basic: I just needed a functional laptop that wouldn’t lag. Surprisingly, after doing my research, I didn’t come across many options to fulfill my laptop requirements. So without much contemplation, my final two options were HP XPS 13 and Dell Inspiron 13 7000 series. 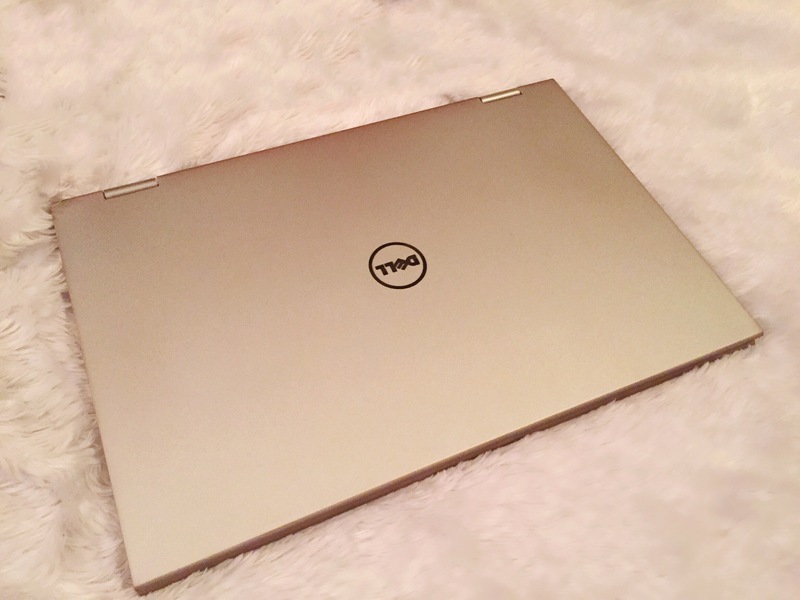 One of my family members is a computer system engineer and she swears by Dell laptops, so without much thought, I decided to purchase the Dell laptop. When I first received my Dell laptop I was more than static! The design looked sleek and modern, the weight was phenomenally light (compared to my previous laptop) and the touch screen feature was captivating. But after less than five months of use, my laptop started acting up, and I had no idea what to do. One of the first performance issues I noticed was that the laptop was lagging easily. And when I say easily, I mean working with four Word Documents and SPSS simultaneously. Few weeks after that, I tried saving a Word Document on my desktop folder; but suddenly, a random notification popped stating that my laptop’s desktop didn’t exist, so I was unable to save my document. Shocked by this, I decided to check my laptop’s desktop section/folder, and to my surprise, all my documents were gone. Right after, I performed a computer search, but it was unable to find any of my documents- they were gone! At that moment, my computer froze, and I was afraid that turning it off would mess everything up, so I let it on for hours, hoping that soon enough it would unfreeze and my documents would come back, but it didn’t happen. After having no other choice, I decided to restart my laptop, and thankfully, documents showed up. Time after that, the laptop started with a new issue. This time, it was unable to recognize my Wi-Fi information, stating that there are no networks available (even though I’m working right next to the router). After a while, the Wi-Fi button grayed out, meaning that I can’t turn it on or off, and this won’t get fixed unless I restart the laptop. I went on Dell’s official website to run a Dell Diagnostic, and it claims that the laptop is in optimal performance. At this point, my computer freezes a lot, my documents get lost, sometimes it makes weird noises (as if the speaker cracked), and it won’t recognize any wifi networks (the button is grayed out). As if this wasn’t enough to affect both my academic and work performance, soon after, I started noticing that my laptop’s outer material was staining. It has some dirty dull hue stain that doesn’t go away with anything. This stain is present around the laptop’s fan, casing, bottom border of the front, back, underneath, armrest. I have NEVER EVER had this happen with any of the laptops I owned, so I decided to do some online search for possible causes. If you search “Dell Inspiron 13 7000 series staining” you will find a multitude of people complaining about the same thing. 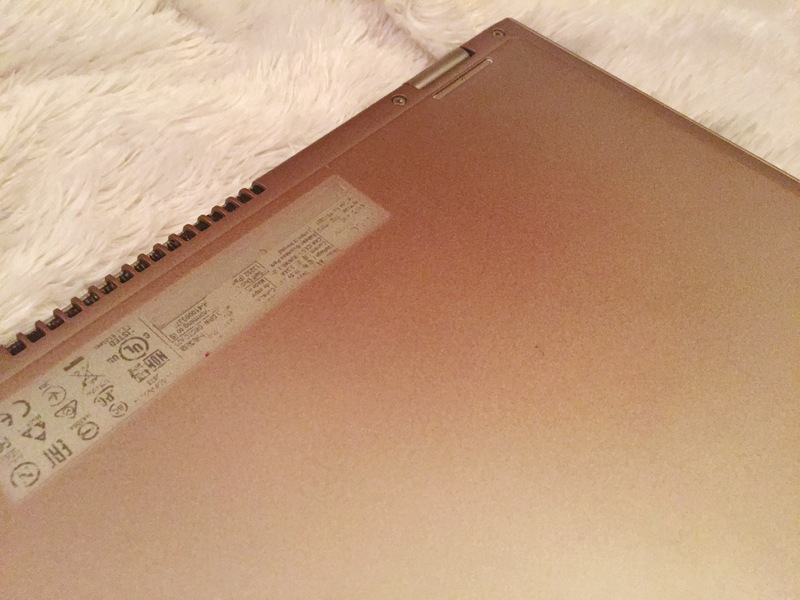 Some people claim that after contacting Dell, the company claims that it is “sweat” or “body oils” and that the warranty only covers hardware problems. Let me tell you something – I definitely don’t sweat on my laptop, or have any possible way to stain the underneath of the laptop with “body oil” as the laptop is on a table all day! After my desperation, I reached out to Dell support, and we went back and forth for a couple of days with no solution. They made me download a bunch of updates and other “softwares” to fix these problems, but nothing was able to fix it. When I made a claim about the laptop fading, they claimed that their warranty didn’t cover it. For the price of the laptop, I was beyond disappointed with the performance, the lack of help, and the random color fading/staining. As cliche it may sound, it literary felt as if I threw my money down the drain. Final verdict: If I were to start my laptop search all over, I would definitely stay away from this laptop.